1. The requester logs into their account (or may be using a dedicated station that remains logged in), and clicks "Request Session Now" underneath the name of the provider they would like to reach. 2a. 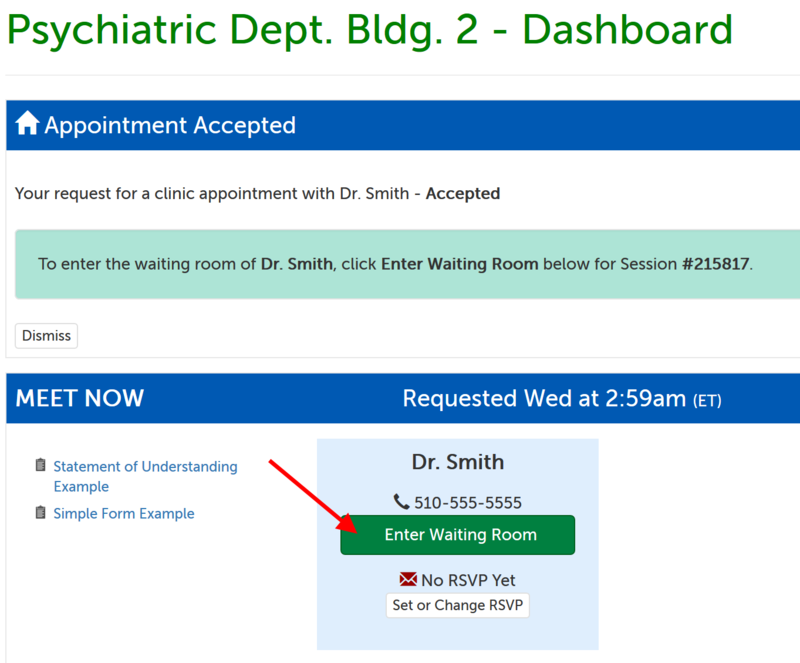 If the request was accepted, a new session will appear on the requester's Dashboard. They will click "Enter Waiting Room" to establish their their half of the connection and wait for the provider. 2b. If the request was declined, a message will appear with that notification, and display a note (if any) from the declining provider. The requester will need to click the "Dismiss" button to clear the message and try again. If notes are enabled, the provider can also enter a note to be sent to the requester, with the decline notification.